Caffeine Pub Chem 2519 Sticks Color A methylxanthine naturally occurring in some beverages and also used as a pharmacological agent. Caffeine's most notable pharmacological effect is as a central nervous system stimulant, increasing alertness and producing agitation. It also relaxes SMOOTH MUSCLE, stimulates CARDIAC MUSCLE, stimulates DIURESIS, and appears to be useful in the treatment of some types of headache. Several cellular actions of caffeine have been observed, but it is not entirely clear how each contributes to its pharmacological profile. Among the most important are inhibition of cyclic nucleotide PHOSPHODIESTERASES, antagonism of ADENOSINE RECEPTORS, and modulation of intracellular calcium handling. Cleat Clamp Printable cleat clamp from MakerBot Thingiverse model archive, converted to X3D. 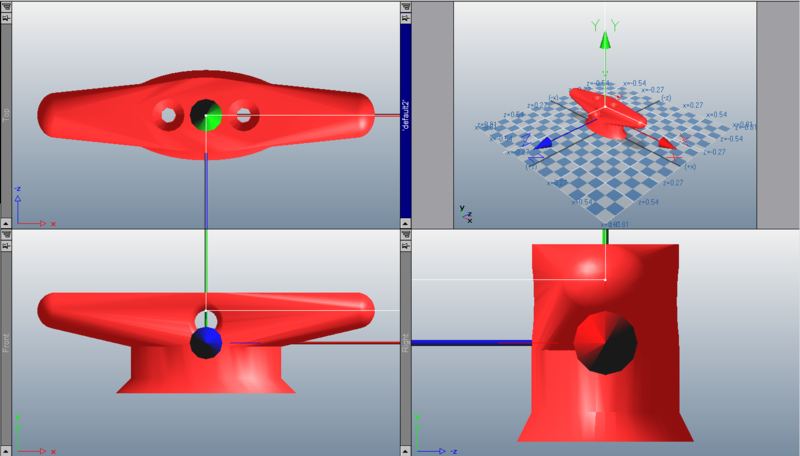 Metadata Root Node Test X3D model metadata might be saved and reused via a separate file, is a Metadata node legal as the root node in a scene? 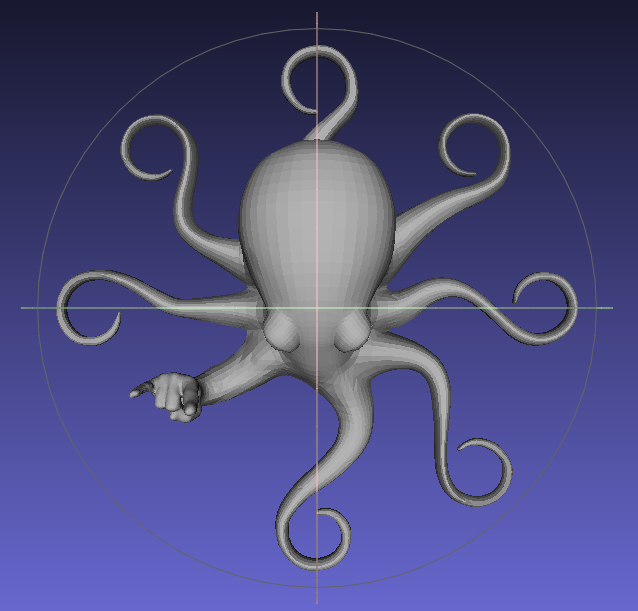 Rocktopus Rocktopus is a popular Lulzbot model, converted to X3D. Uav Beehive Beehive shelter designed for concrete printing to provide recharging and wireless communications support for unmanned aerial vehicles (UAVs). Concept of operations (CONOPS): UAV quadcopters are able to fly in and fly out through circular access at top. Side door lets operators place portable electrical generator inside for robot recharging. Wireless local-area network (LAN) provides airborne video back to protected radio-relay link for offshore/remote monitoring. Rounded concrete shape protects installation from wind, mortar attack and small-arms fire. Expeditionary manufacturing approach frees personnel from tedious sentry duties.